The daughter of the Russian president's press secretary admitted that she does not want to move out of Paris. 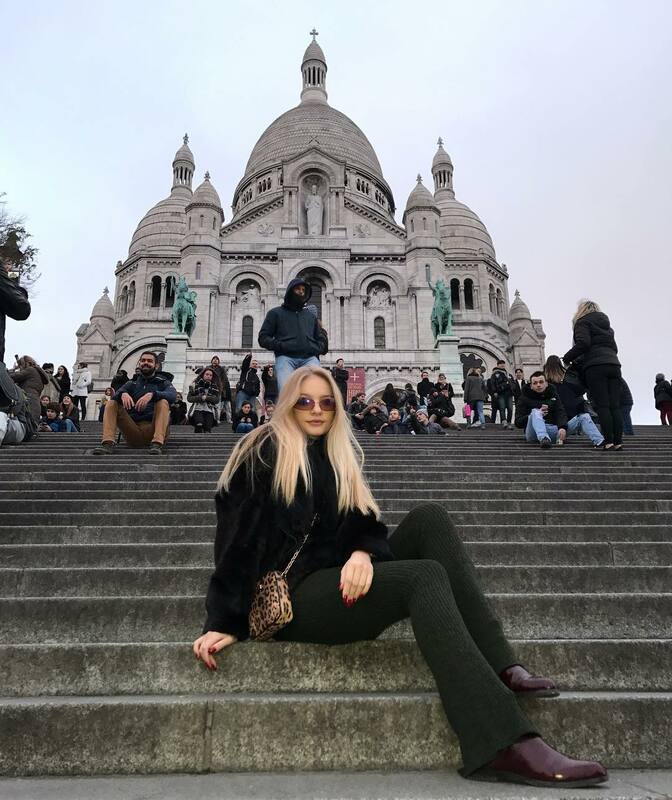 The 19-year-old daughter of the Press Secretary of the Russian President, Liza Peskova, has been living and studying in France for many years, and she does not intend to move from Paris. My first meeting with Paris occurred when I was six years old. My parents brought me to Disneyland on Halloween. This trip was one of the brightest memories of the past. I remembered Paris as a sunny and clean city, arousing joy and a good mood. According to her, the friend to whom she came for the weekend from the orphanage in which she studied was helping her to love the French capital. "I have much more time here than in Moscow, despite the fact that I spend time on the subway and get a lot of pleasure from these walks," - Liza told. By the way, it was not easy for her at the boarding school: the children laughed at her appearance. "At first, it was very hard for me to get used to boarding life, because I was mocked for my appearance (I was a fat girl with a big nose, and I was nicknamed Pinocchio), and besides, I did not speak One language at all , "- said Liza. But despite this, she considers herself a and quickly adapts to life in different countries of the world, but does not yet want to leave Paris. "I, like many of my generation, are a human of the world, a , and I am amazed when they say that I should live in Russia. I remember very well the times when our family did not have any money. But we have never experienced envy and anger towards more successful or rich people than we were", - Peskova said. Liza added that her family has been guided by three core values: friendship, support and love. Though heir of Dmitry Peskov spends much time in Paris (Liza's mother and her younger brothers live in France), she spends the summer in Moscow, where her father and grandparents live. Daughter of the Press Secretary got several Universities under her belt: the young Elizaveta managed to study at a boarding school in Normandy, at prestigious school in Paris and at the Institute of Asian and African countries in Moscow. Having left a Russian university, where she entered at her father's insistence, she returned this fall to the capital of France, to her mother and younger brother, and entered the business school. Now Elizaveta Peskova studies marketing and Oriental languages. She knows five languages – English, French, Turkish, Arabic and Chinese. Elizaveta grew up in a family of diplomats: both her grandfathers - Sergey Peskov, Vladimir Solotsinsky as once her father, Dmitry Peskov, worked abroad. Not surprisingly, she began to learn foreign languages practically from the cradle. In Paris she became a graduate of the prestigious school Ecole des Roches. Heiress of Peskov draws well, and teachers strongly advised her to apply at an art school - Ecole du Louvre. However, Dmitry Peskov dreamed that his daughter returned to Russia and received a classical education at home. Lisa moved to Moscow and entered the Institute of Asian and African countries. However, Lisa missed her mother and brothers, so she soon returned to France. Recall, Dmitry Peskov and Catherine Solotsinskaya married in 1994, when Catherine was 18 years old. She fell in love with her future husband when she was just 14 and he was 23. The couple lived together until 2012, then parted, and Catherine moved to Paris. In August 2015, Dmitry Peskov married Olympic champion Tatiana Navka, the couple has a daughter, Nadezda.